What would I have to pay you to give up fly-fishing? If you are not familiar with the term consumer surplus, don’t feel bad. It is, to my mind anyway, a pretty esoteric concept, but one which economists hold a lot of stock in. It’s a way of measuring the parts of our economy that can’t be measured. It’s the value of what you don’t pay for. On one level it makes a lot of sense. An area that economists spend a lot of time evaluating is the digital economy. For example, a study was done to evaluate the consumer surplus of Facebook. If it could be determined what people would pay for Facebook, that figure would be the consumer surplus. That’s a hard value to asses, so they did the next best thing. They figured out what it would cost to get people not to use Facebook. They actually paid people to give it up for a month. The average cost of getting someone off of Facebook was $48 per month. Personally, I have a lot of feelings about that. I quit Facebook about a year and a half ago. The account is still there and Justin Pickett posts on it for me but it’s been a year and a half since I looked at it. I would pay well over $48 per month to not see Facebook and I might be willing to pay others not to use it. If you are a Facebook user, I recommend giving it up. You’ll be happier, I promise. Ok, enough rant. This got me thinking about the consumer surplus in fly fishing. What is the value of the things that we don’t pay for? Let’s start with Gink and Gasoline. Don’t worry, I’m not going to start charging you, but you’d be shocked how many times that idea has been pushed on me. You might be surprised to hear that I have turned down three offers to sell G&G, so I have some idea of what that figure might be, but what is it worth to you, the reader? It’s worth a great deal to me. Not in dollars, but in my heart. That part of me is a little put off by some economist’s assertion that the digital efforts of my labor are simply part of some math equation bent on figuring my worth to the machine. Still, there is a dollar and cents value to what’s going on here and it isn’t cheap to run anymore. I’d like to point out that the bill is currently being paid by the awesome folks whose ads you see on the site. Also the folks who come on the hosted trips and the straight up heroes who contribute the content. That’s worth thinking about next time you hit the comment section. So if we can put a value on the five minutes you waste every day, at work I assume, reading G&G, what about the time you actually spend fishing? Let’s use the same math as the Facebook study. I hope you felt a disturbing chill when you read that, because I certainly felt one when I wrote it. What would that actually look like? Personally, I find it very hard to imagine. Let’s look at it another way. 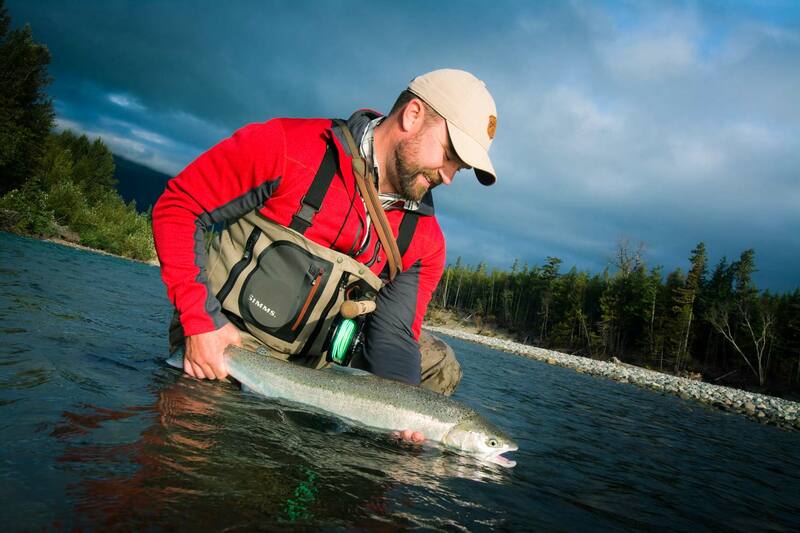 Have you ever been forced to give up fly fishing for a period of time? Why? Was it a job? An illness? Either your own or maybe a loved one. A marriage, or maybe the birth of a child? What were you paid for that job? Better yet, what, in dollars, is that marriage, child or loved one worth to you? If you and I have anything in common, that reads as a pretty F’ed up question but that’s the math were talking about. So go along with me for a minute. Come up with that figure. What would it cost me for you to never cast a fly rod again? It’s a big number, right? Mine sure is. Let’s call that number X. Now, think about the last time you went fishing and complained about how many people were on the river. Count them. Multiply that number by, I don’t know, 365 days in a year. Add yourself to that number and and let’s call that number Y. Now multiply X times Y. Is that the value of a trout stream, bass lake or bonefish flat? Not yet. Let’s add to that the income of the guys down at the fly shop. How about the folks that made that rod, those waders, the line, the flies, the boots? What about that 4×4 you bought so you could get to the better water and the gas you put in it? Got a boat? A Yeti? Add all that stuff in. Oh yeah, add that number you came up with for G&G, and every other site you look at. And the cost of running the fish and game department and national and state parks. I could go on like this for a while, but let’s seriously look at that number. I’m guessing there are a lot of zeros at this point. This may sound silly but it’s exactly the kind of math economists use to figure things like consumer surplus, which to some people is almost as important as the GDP. Come up with your own number. Write it down. I dare you. What’s your favorite trout stream, lake or flat worth? Dollars and cents. What’s your number? Whatever it is, it’s low. Not even close. Because a trout stream is not a durable good. It’s not replaceable. You can’t sell it and make another. Remember how it felt when I asked you to put a dollar value on your child? That’s what we’re talking about. That kind of irreplaceable. It’s a unique living thing that can never be duplicated. So be careful. You likely thought it was a joke when I asked what it would cost for you to give up fly fishing but you might already be making that bargain. You might be selling that favorite stream and not even know it. What is it worth to you to keep it? Another thousand dollars a year in taxes? Another dollar a gallon? Choices matter. That is, if fly fishing matters to you. 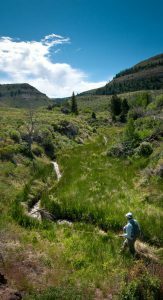 This entry was posted in Conservation, Fly Fishing Lifestyle, The Hot Ticket and tagged What is the value of a trout stream? by Louis Cahill. Bookmark the permalink. Fly fishing is a way to stick a hook in a fishes mouth. For years – decades – I didn’t do it. I still don’t see it as a “lifestyle,” or a do or die thing. There are elements of in, in fact, that I find outright distasteful. Could I be paid to stop doing it? In a minute. Would it be cheap? No. But it’s allure is one built up, one we convince ourselves of. I could talk myself out of it …. for a price. The world doesn’t need any more negative and critical people. There’s already an abundance of that. Why not keep it positive? I don’t see this as negative at all. This individual obviously feels they way they state, and it’s important context for their ultimate answer. I don’t think sharing your opinions is negative just because others may not agree. Thanks for the article. Nice work. Great article. The message I hear is that we should put our money where our mouths (or rods) are. I get disgusted every time I wade or float past sunken trash like beer cans and plastic bags. This idea takes it a step further. Not only should we protect our waters but we should all be investing in them. Treating them like our own property and the precious assets they are. I bet without fly fishing crime rates and especially violent crimes would increase. Just imagine a world without fly fishing. Makes me think of the movie WWZ. That I would not like to see. Thanks again for the article. What a great question. I’d give up a day of fly fishing to help a friend move, to ride my mountain bike, work on a Saturday, or to do almost anything. But give it all up, forever? I’m not sure there’s enough money on earth. That’s how important fly fishing is to me, and it’s why I’m a T.U. member. Give up the only thing in life I enjoy? No price. Not $1,000,000,000,000. What would I spend my money on if not fishing? What would occupy my time if I could retire, but not fish? I haven’t been able to fish since April or May of 2012. First, demands of a new job (70+ hours per week along with daily commutes of an hour or more each way) for a few years with the hope of a better position with more pay and fewer hours. Second, several years of dealing with health issues (permanently messed up back, surgeries on both knees and my left hip) at least partly attributable to the stress and wear and tear that job caused. Third, I’m now in graduate school working toward a new career. All that time, I might not have been able to go fishing, but I stayed somewhat connected through blogs like this, attending fly fishing shows, and watching YouTube videos. Now, I should finally be able to go fishing again at some point in the next few months, and it frankly scares me a bit. I worry that being unable to do the things on the stream I used to be capable of doing, and that fishing will become something that represents what I can no longer do. Yet, I imagine the sheer volume of experience that entails the sport makes that unlikely. I might not be able to fish as aggressively as I once did, but I hope I can still get out and land a few fish while enjoying the environment in which I get to experience it. Fly fishing is so much a game in which we as anglers set arbitrary conditions for how we measure a successful day that I am sure with a few expectation changes I will still enjoy the sport. Living in Idaho its easy to take fishing for granted, 3 years ago I had it taken away from me due to an injury. I will never take it for granted again. Money ? I have no idea. Its not a hobby or sport to me, its time to heal and get a proper perspective of things. The final paragraph is a killer. Yes, it is far too easy to make unconscious decisions and never realize the consequences until it is too late. I know of too many people who donate money for fish, then turn around and take actions that render their donations meaningless, usually because they do not take the time to educate themselves and reason out their choices (I do not claim that this an easy or quick thing to do, but… it is yet another choice).